Yesterday, at Google Hardware event search giant have finally announced its most awaiting smartphone Google Pixel. Google drooped its Nexus smartphone and came up with this new brand and flagship. The handsets, which are being assembled by HTC feature uni-body cases made of aluminum, with decorative glass panels on the rear. These are the first phones with Google Assistant built in and ready for the company’s Daydream VR platform. 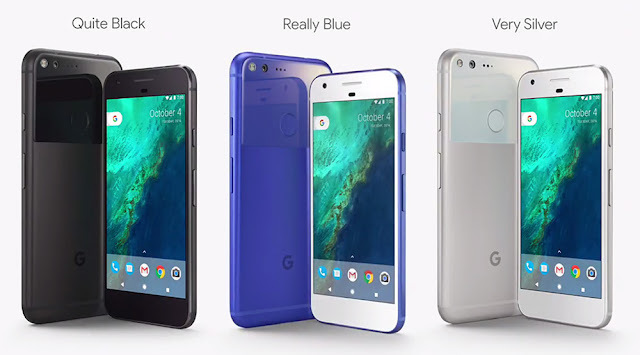 There are two variants of handsets that Google have announced at yesterday event, One is Pixel and Pixel XL. 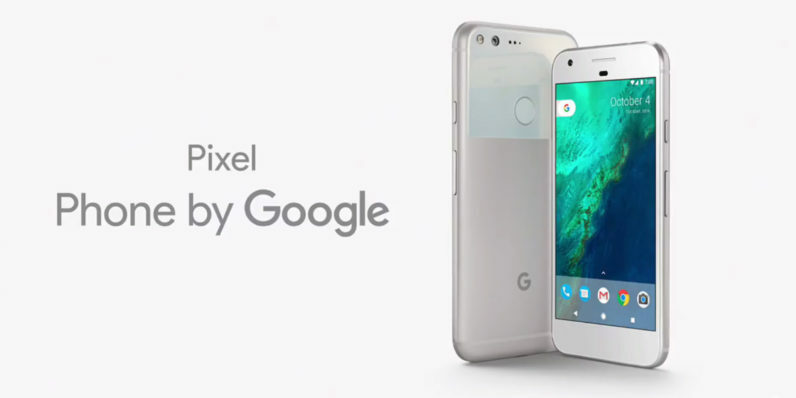 The Pixel is a 5-inch device with a Full HD AMOLED display that’s protected by Gorilla Glass 4. It’s powered by a Snapdragon 821 2.15GHz processor paired with 4GB RAM, with your choice of 32GB or 128GB of space. It has 12-megapixel rear camera with an f/2.0 aperture above the fingerprint sensor; on the front is an 8-megapixel snapper for selfies and video calls. The pixel came with the 2770 mAh battery and Google says that it will last for 7 hours with a single charge. The Pixel XL comes with the same features as like Pixel, 2560*1440 of resolution, but it have little things that separates it from Pixel. It comes with the 5.5 inch display, with the battery of 3450 mAh. The Pixel and Pixel XL will be available from Verizon and unlocked through the Google Store,with pre-orders starting today. They’ll be compatible with all four major U.S. carriers, too, as well as Project Fi. Pricing starts at $649 for the base model Pixel, or you can pay monthly for $27/month. At starting Pixel and Pixel XL will be available in US, Canada, Germany, UK, Australia. In India it will be available from October 13th with Pre-order.